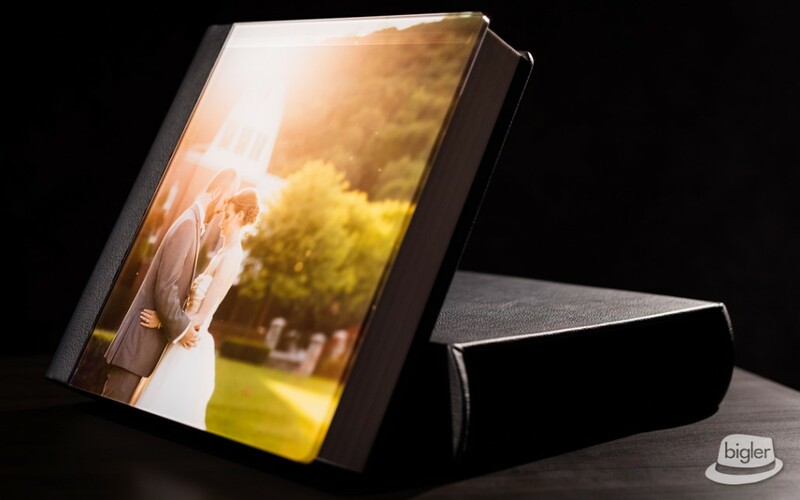 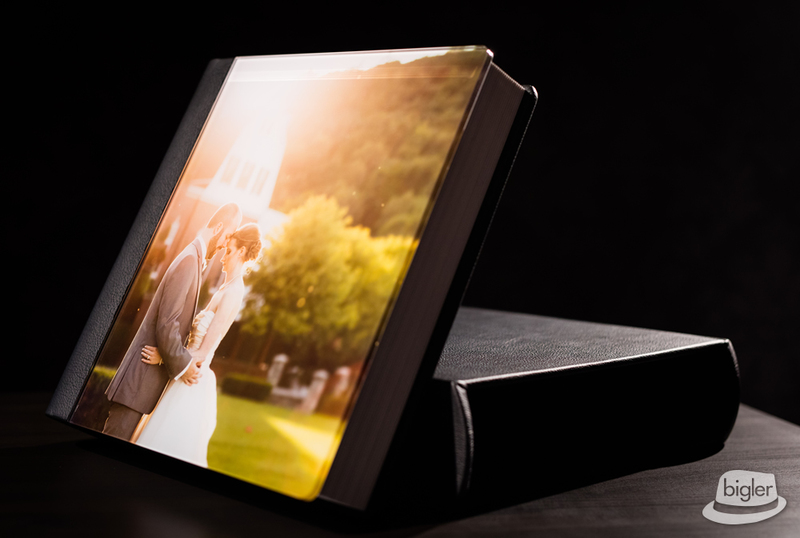 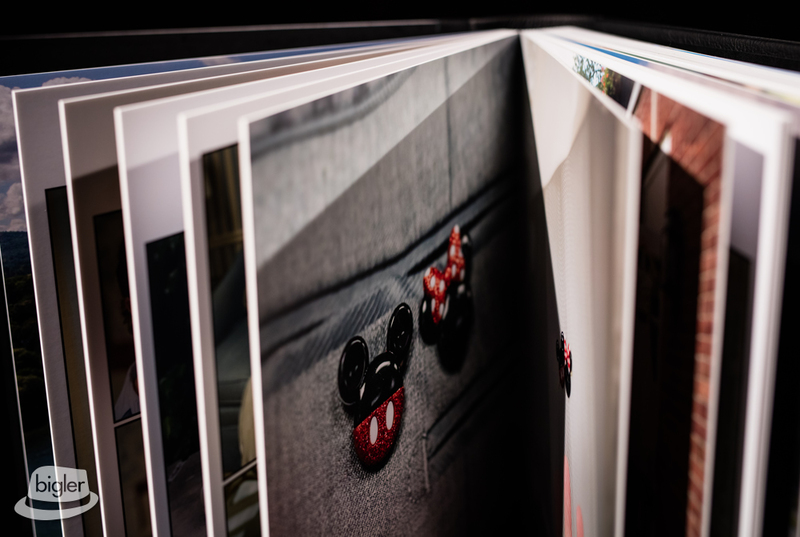 Wedding Albums are a fantastic way to relive the magic of the wedding day. 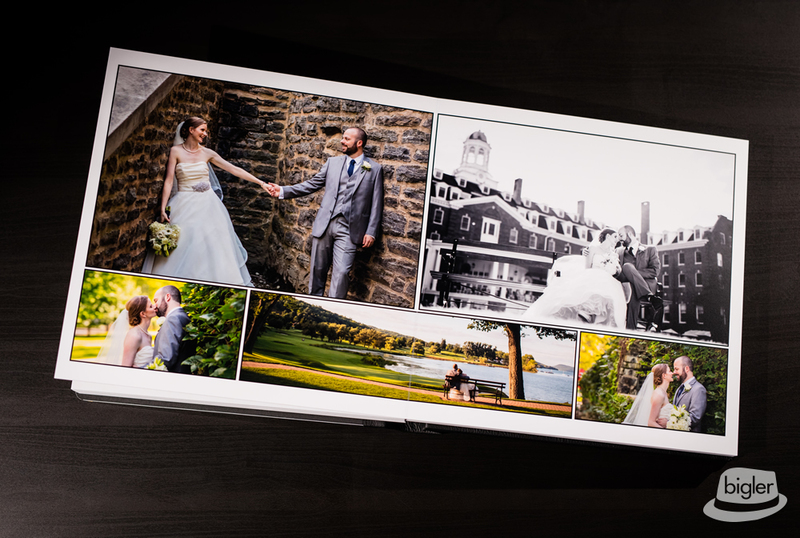 Ashely & Chris chose to purchase one of our most popular album designs. 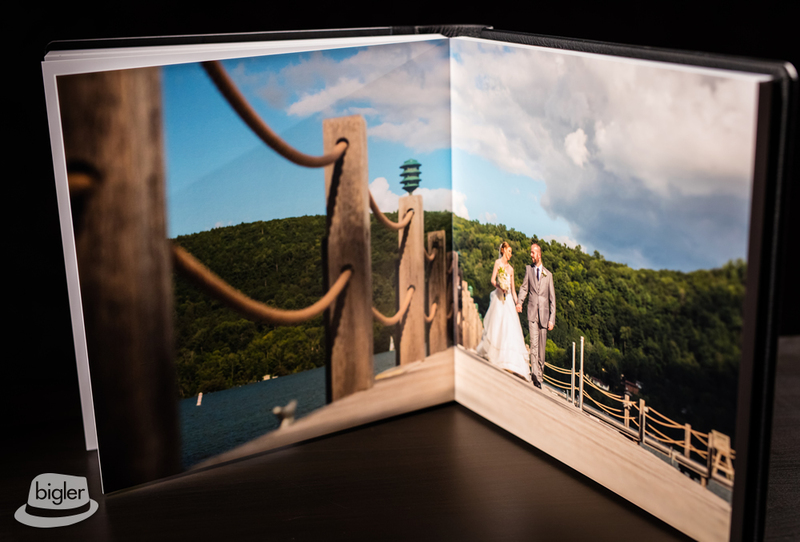 Their wedding album is a 40 page 12″ x 12″ leather album with a custom crystal glance photo cover. 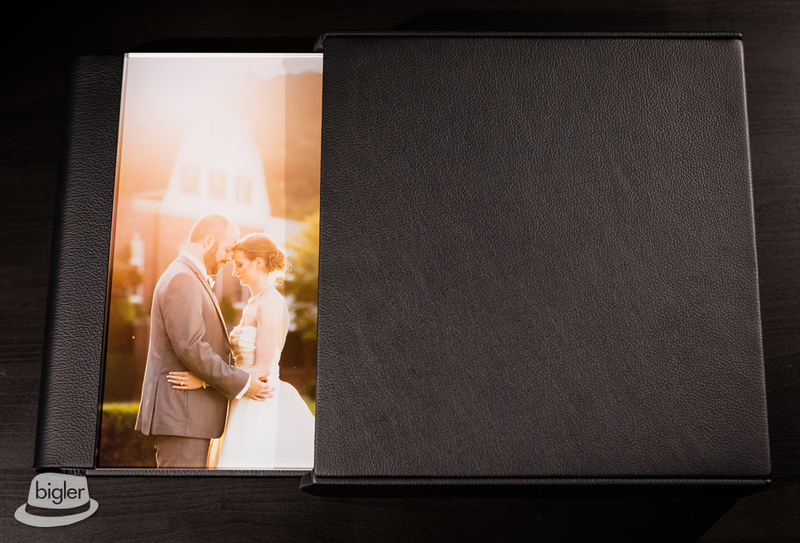 They also choose to protect this gorgeous keepsake with a black leather album sleeve. 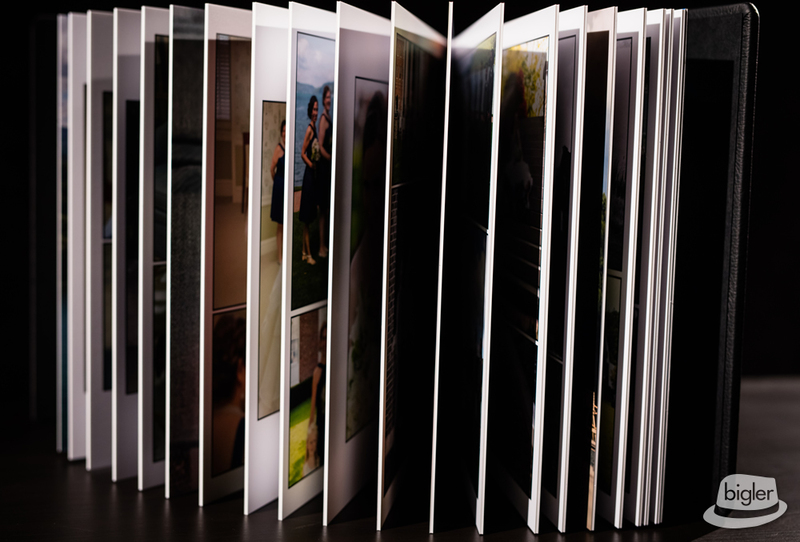 I love how this album turned out.